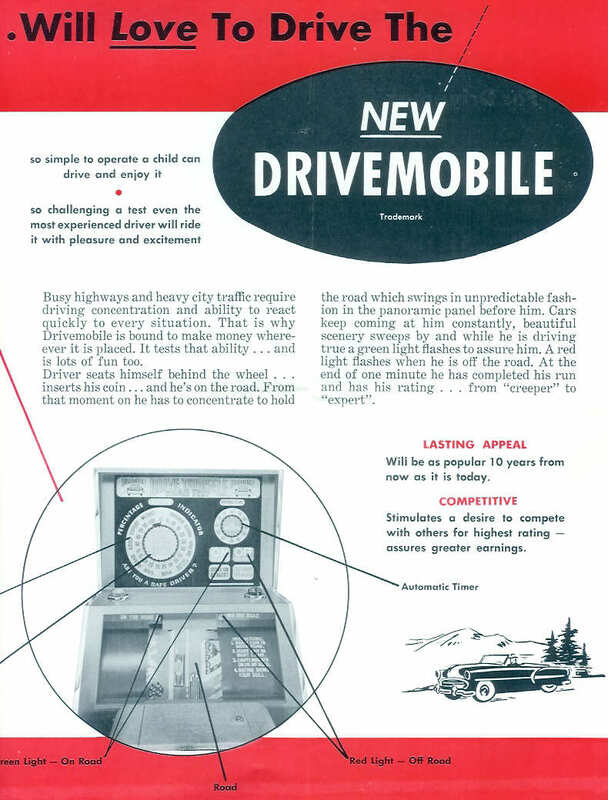 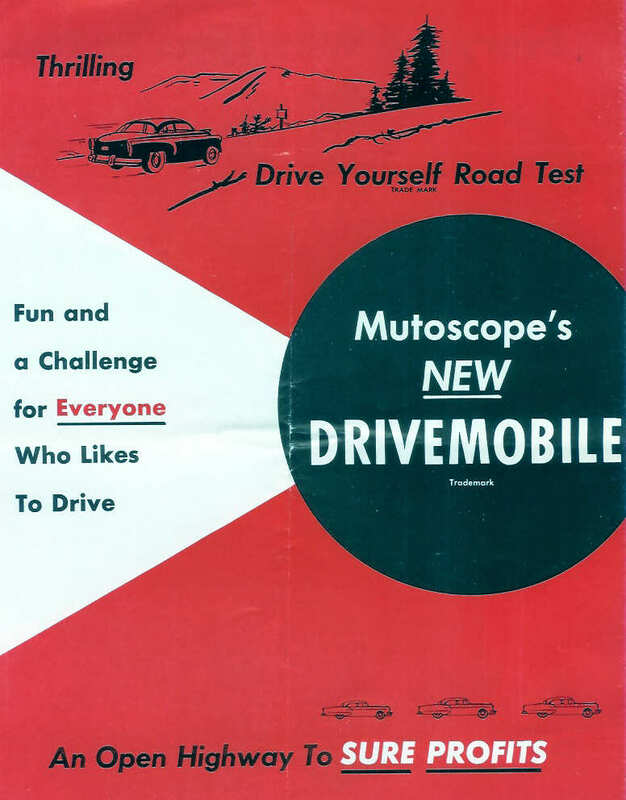 Description: Drive Yourself Road Test (Drivemobile), International Mutoscope, 6/54. 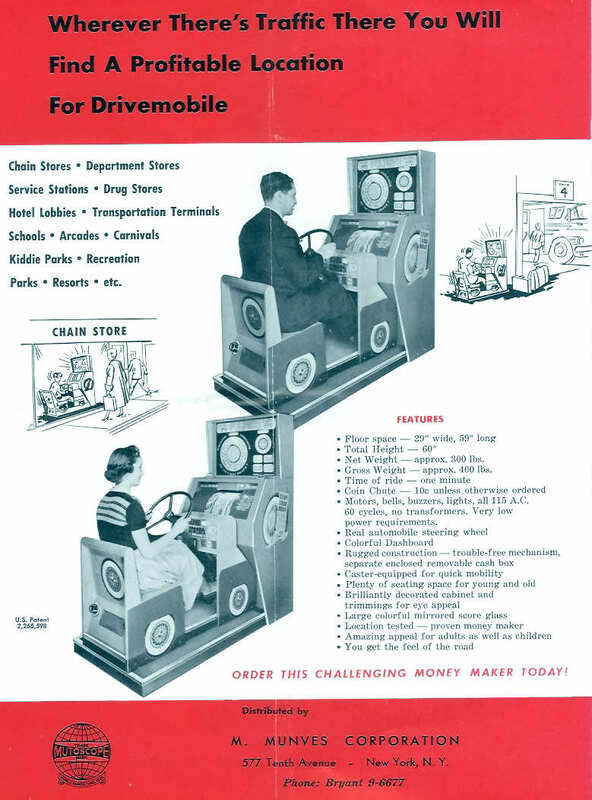 While you sit on the seat and steer, the seats moves in the direction you turn (drive mobile). 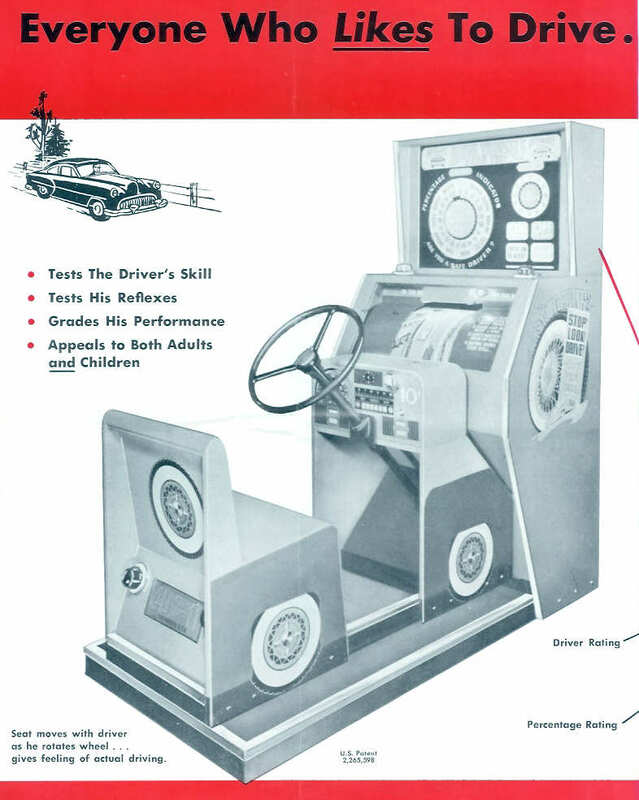 The object is the stay on the road to get more points. 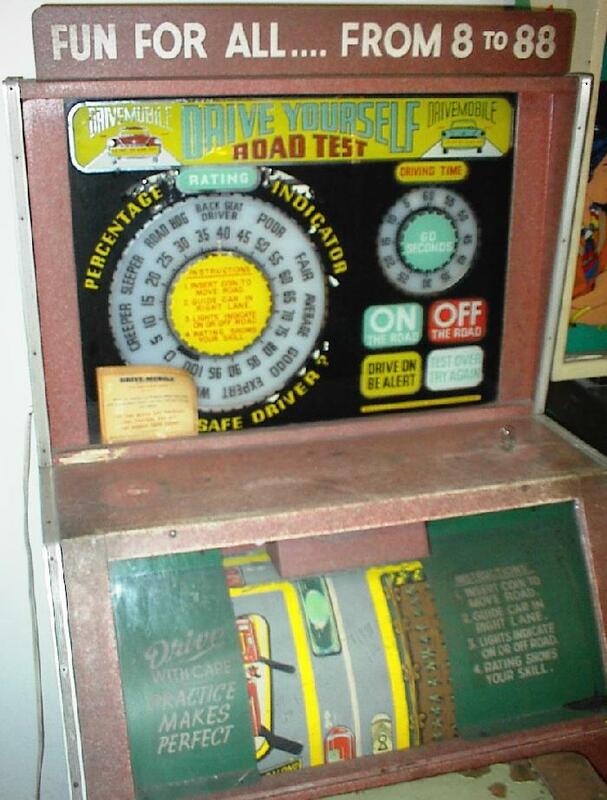 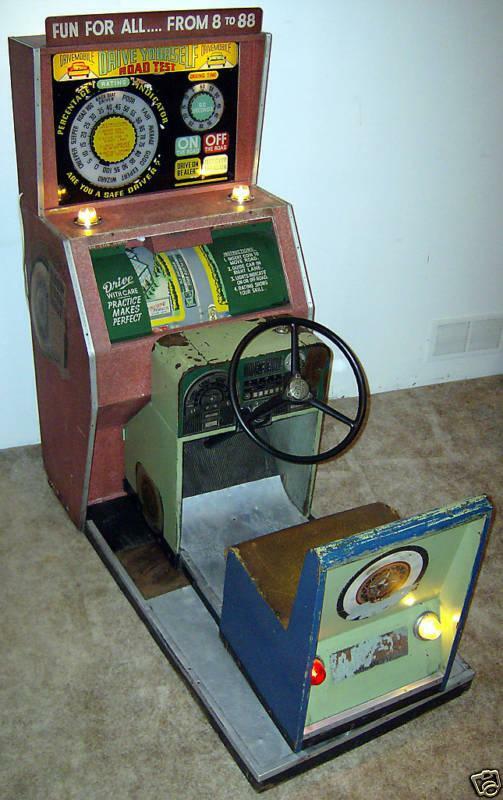 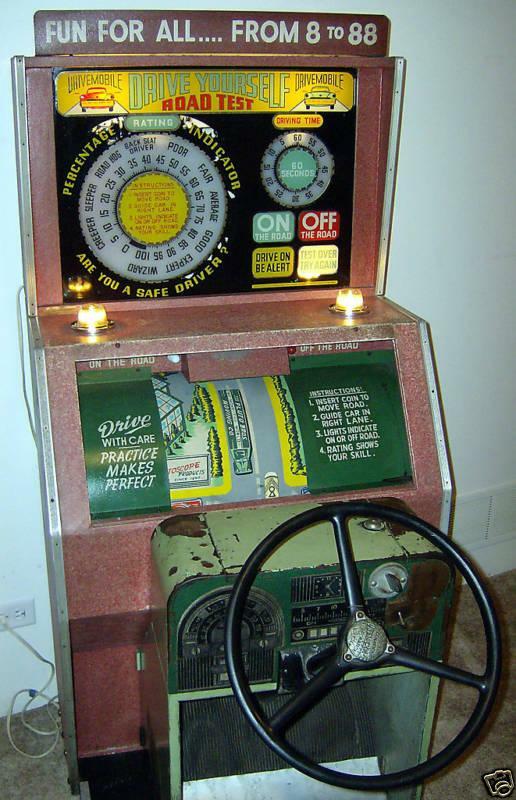 There were basically two other versions of this game by Mutoscope: Cross Country Race (10/48) and Drive Mobile (3/41). 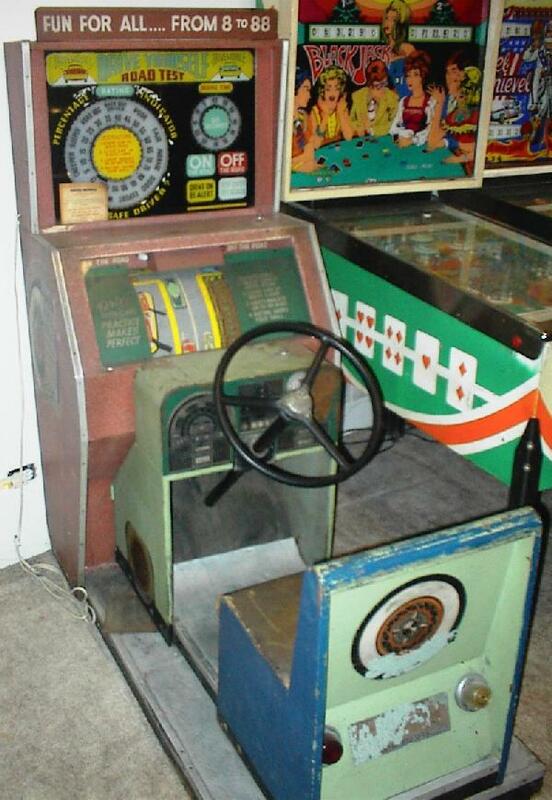 Also similar to Williams 1962 Road Racer, it has a rotating barrel with the road on it. 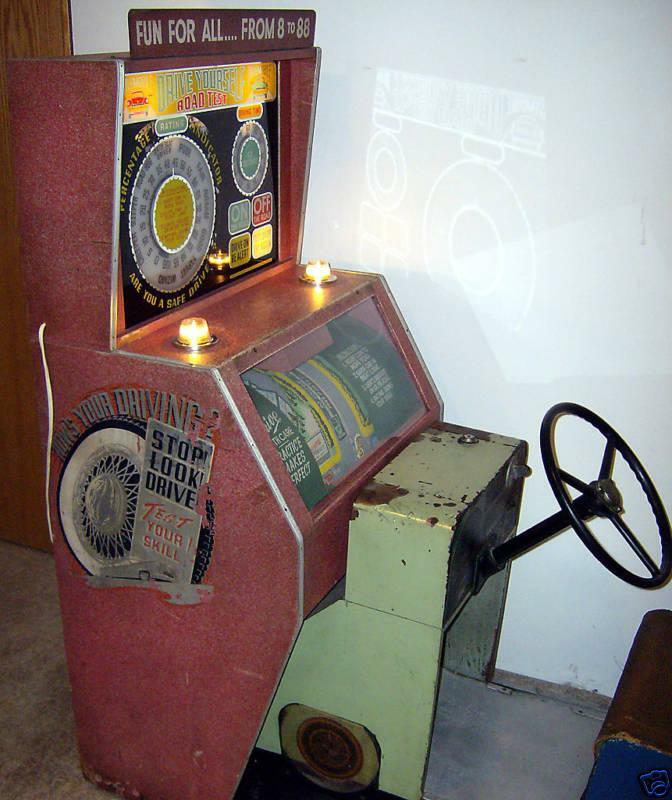 but the front red area of the game appears to be the original red/white speckle. 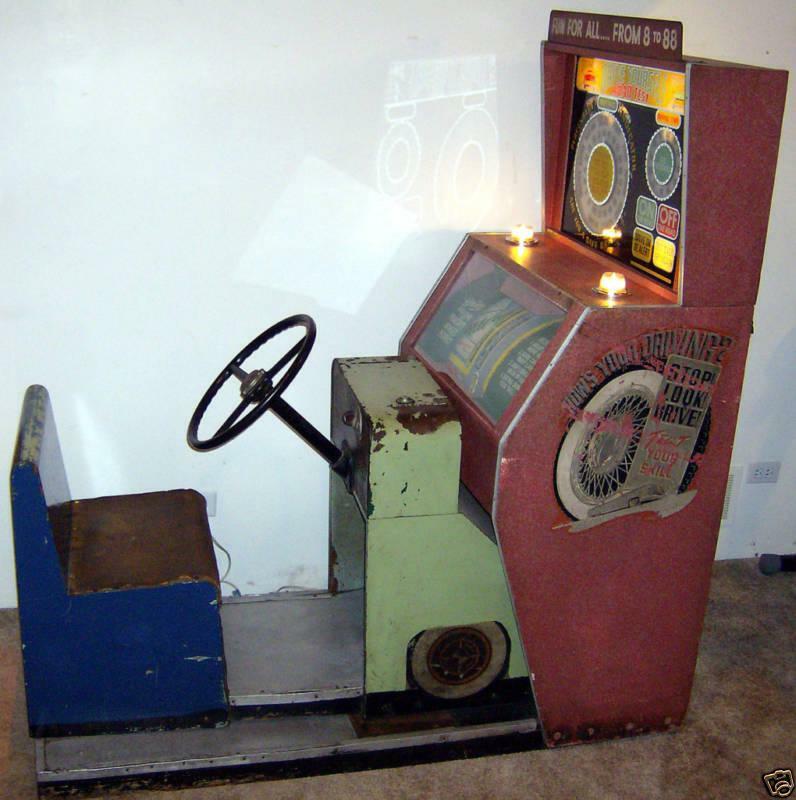 The seat/car area should be green/white speckle with a black bottom border.